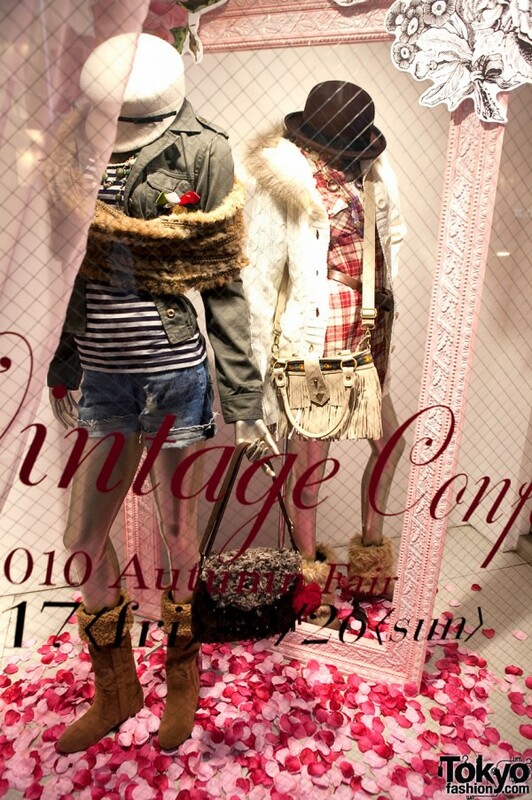 The hottest Tokyo summer in over 100 years is almost over, and that means one thing – it’s time for Fall 2010 fashion trends! 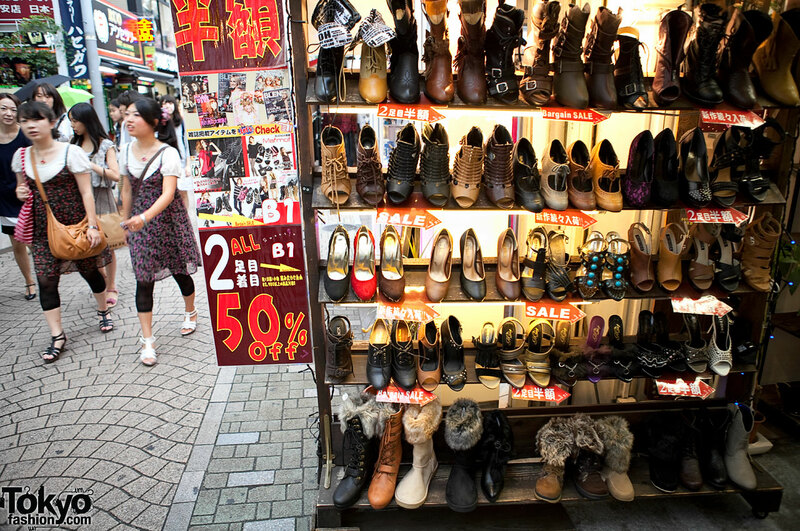 There are a number of Japanese fashion trends that we’re monitoring for this fall. Even now, it’s obvious right away that many of them will revolve around one thing – fur (or faux fur). 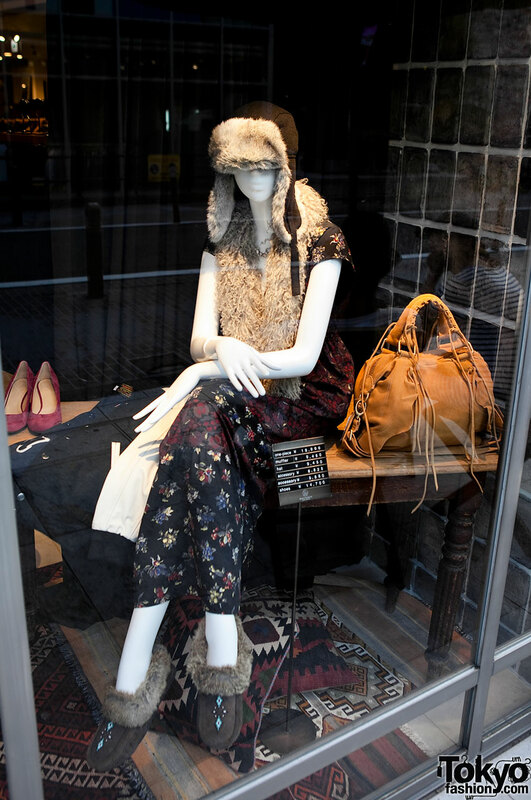 We know some people aren’t into it, but the reality is that fur is going to be everywhere in Tokyo this fall and winter. The first fur-related trend that we’re going to share with you is the instant boom of fur boots and furry leg warmers. 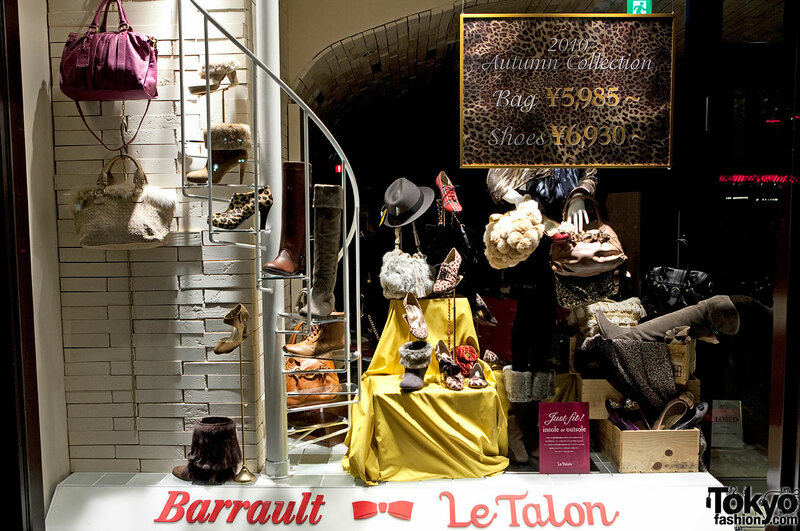 In late summer, we began seeing fur footwear appear in the windows of a few shops in central Tokyo. 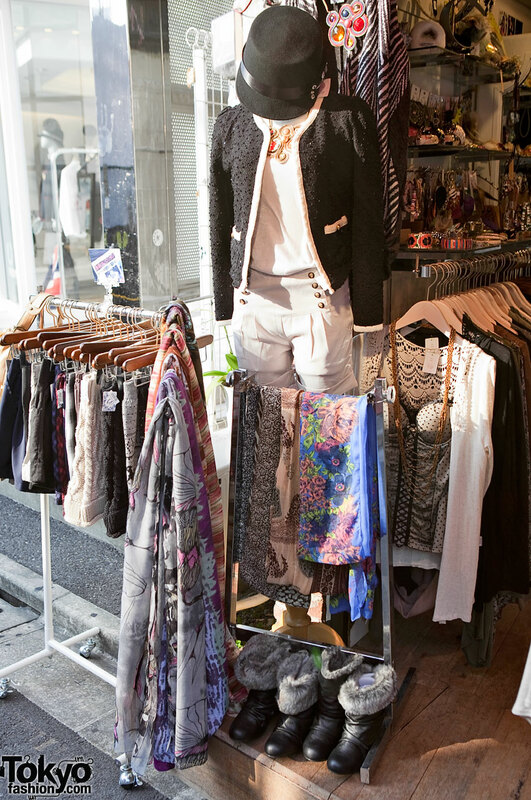 By the time fall had officially arrived, the trend had spread to just about every type of clothing store in Shibuya, Shinjuku, and Harajuku. 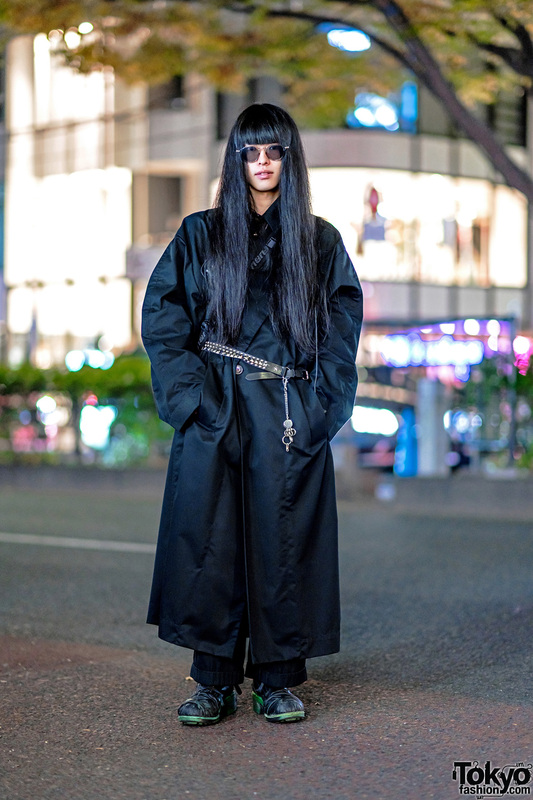 This fashion trend seems to be crossing many age groups and subcultures from the gyaru of Shibuya 109 to the Jingubashi kids in Harajuku to the LaForet crowd and all the way up to the rich and famous of Aoyama and Omotesando. 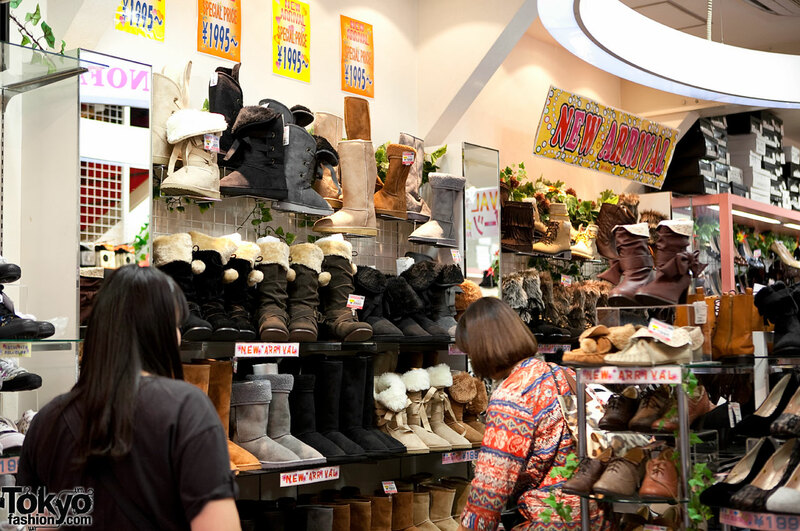 While there are many different type of fur footwear on display at the shops around Tokyo, we are going to focus on the biggest trend item in this article – fur boots. However, even though we say fur boots, it’s actually not just boots, but the look of fur boots that is the hottest right now. Confused? Don’t be! 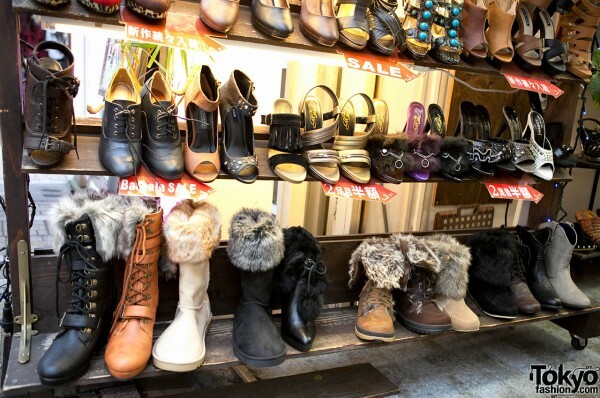 The trick is that many girls are wearing fur covers or furry leg warmers that make their non-fur boots – or even their sandals or random high heels – look like fur boots. 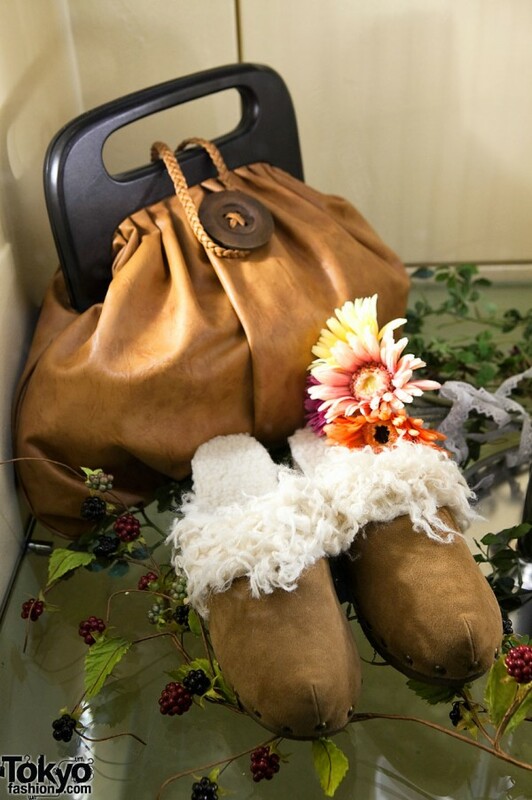 The furry leg warmers are not only more ecologically friendly (you don’t have to throw away your boots next year when another trend comes along), but they are also very friendly to the pocket book. 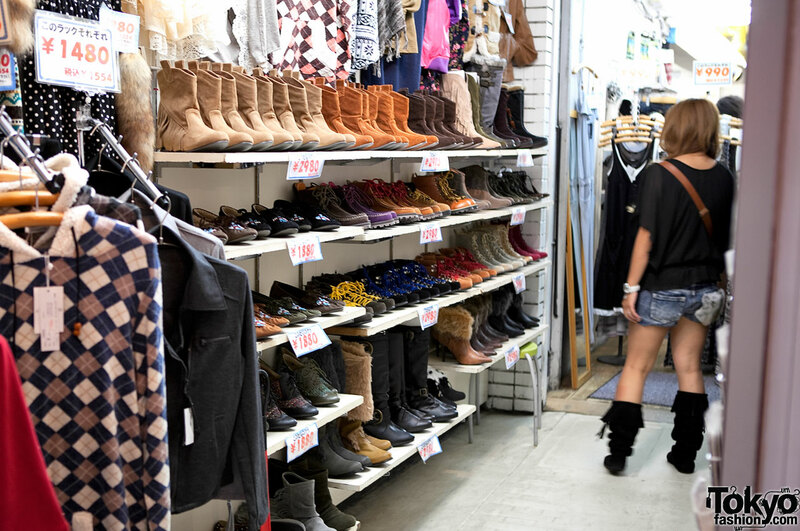 Why spent 10,000 yen on a new pair of boots when you can get a pair of boot covers for 1000 yen? 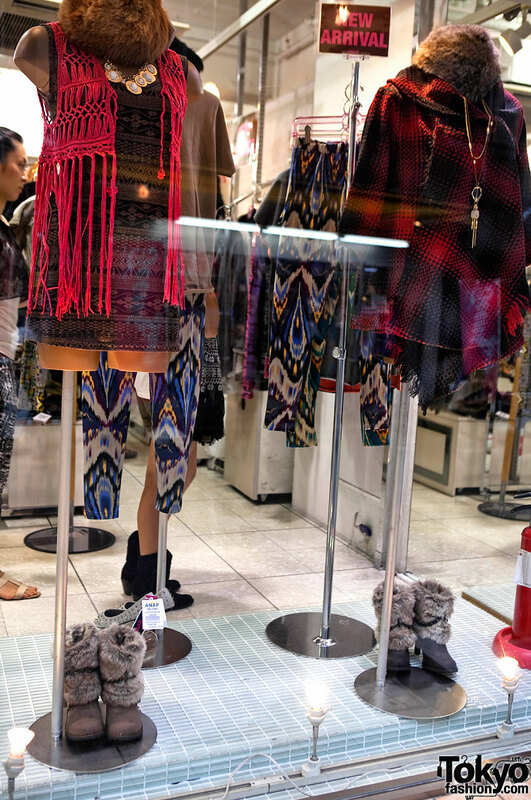 We are actually seeing the leg warmers in many shops in both faux fur and knit versions, but we tried to get mostly pictures of the faux fur ones for this article. 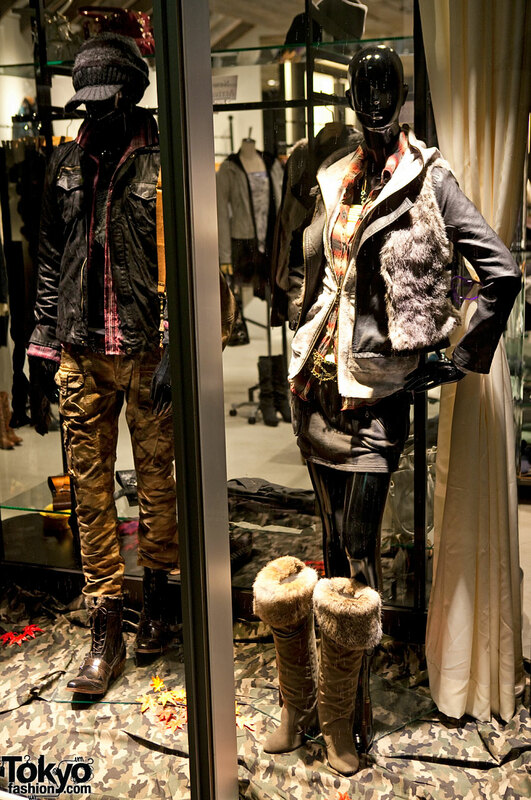 Speaking of faux fur, there’s another difference between the boots and the leg warmers. While many of the boots have real fur, most of the leg warmers are faux fur (which is why we call them “furry”). 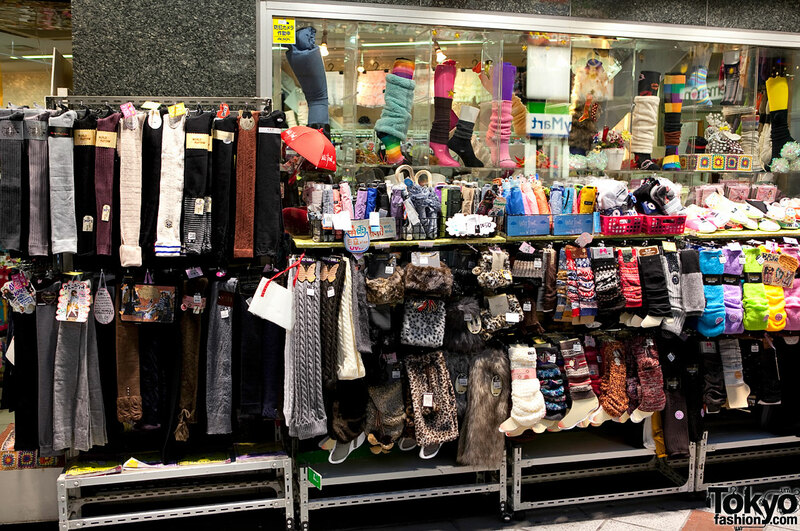 As usual when we report on a Tokyo fashion trend, we hit the streets on several different days and nights and tried to get pictures of a wide variety of shops and examples of the fur boots and furry leg warmers. 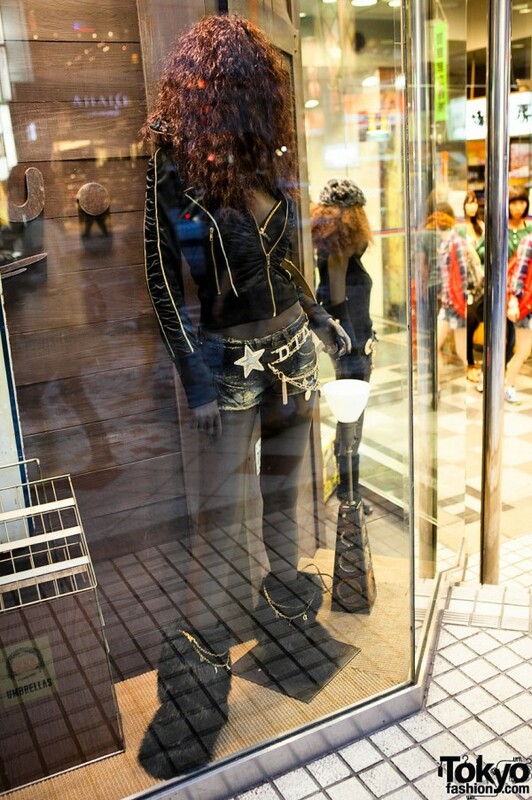 We took most of these pictures in Shibuya and Harajuku. The actual shops cover a range of brands and styles, from no-name accessory shops to ANAP to the upscale Tomorrowland to very inexpensive stores on Takeshita Dori to Shibuya 109 to LaForet Harajuku to the super-kawaii Candy Stripper, and lots of brands and shops in between. 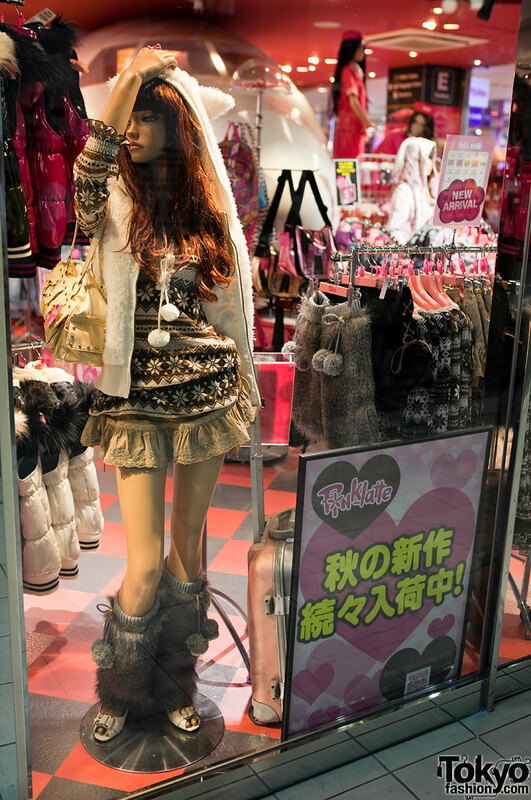 Even though it’s still early in this trend and you are more likely to see the items on mannequins than on real people (the temperatures in Tokyo have just started to cool down to suitable levels), we also tracked down a number of girls wearing furry boots on the street and asked them if we could take their photos. 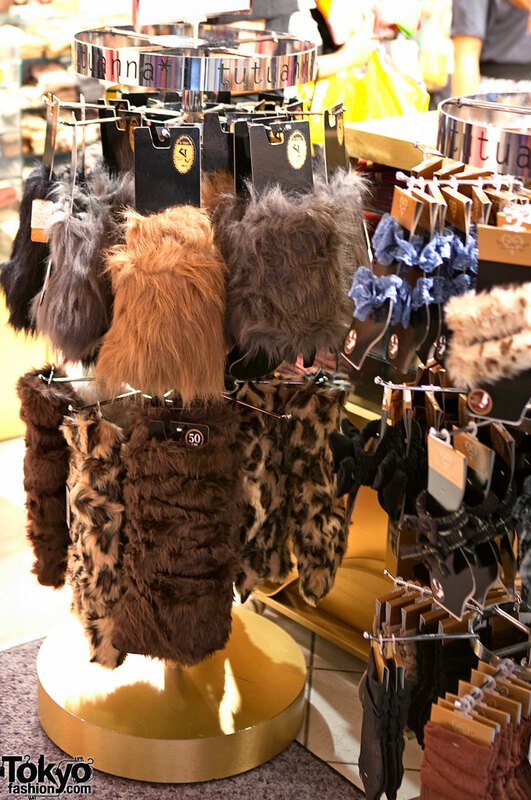 Again, we tried to stop girls sporting different looks so that you could see how fur boots & furry leg warmers are being integrated into all different types of outfits. Remember that you can click on any of the pictures to see the high resolution versions. 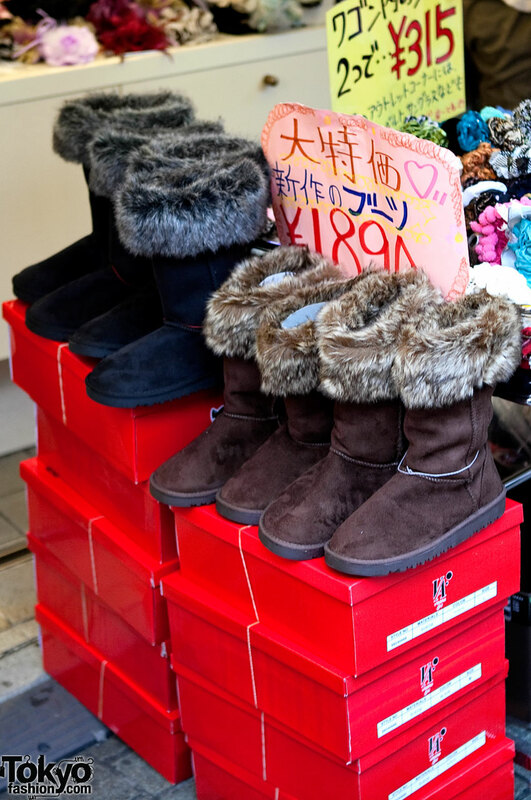 If you continue to watch our daily Tokyo street snaps, we’re pretty sure that you’ll be seeing a lot more fur or faux fur footwear as the weather cools. The girl in the street snaps above wearing the fuzzy black fedora is the aspiring Tokyo singer Rolane. She has her own official Facebook page. Whenever we run any article with fur in it, a few people write us to express their concern. We understand and respect that, but we also want to remind everyone that our mission is to cover what’s going on in the Tokyo fashion scene. 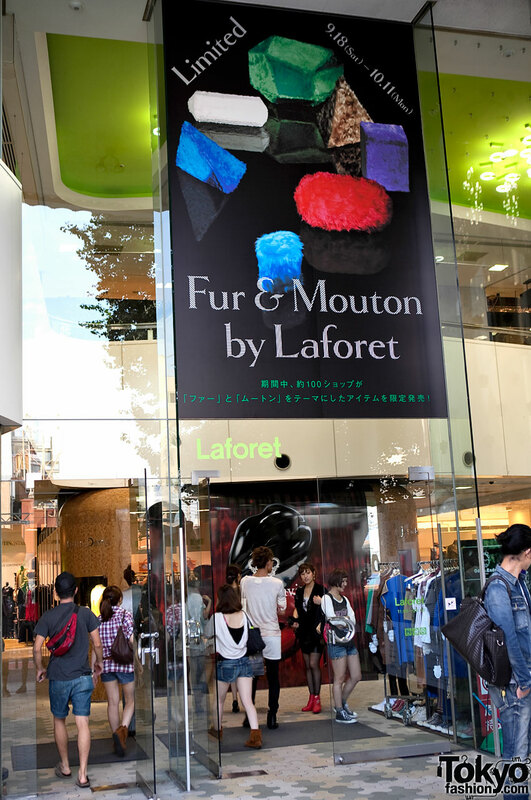 If we never wrote anything about fur, leather, or other animal products, that would mean that we would not be able to share a lot of things that we see in Tokyo with you. Thank you for understanding! OH MY GOSH !!! 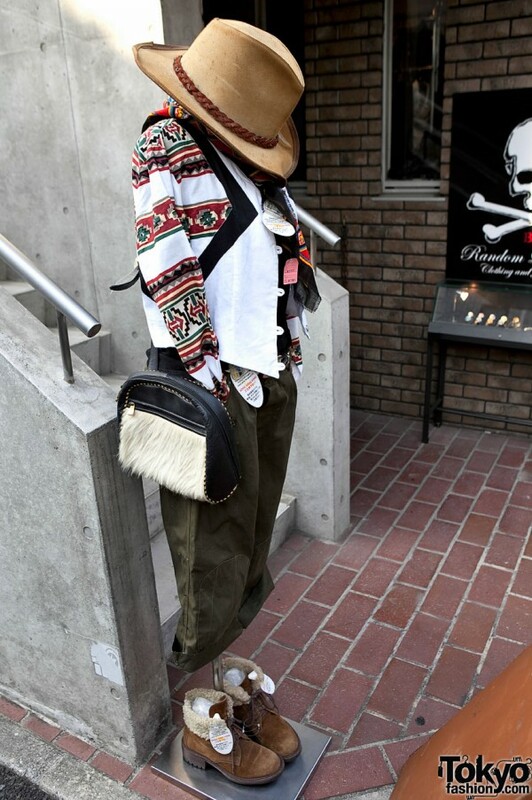 AMAZING !!!!!!!!!!!!!!!!!!!!!!!!!!!!!!!!!! 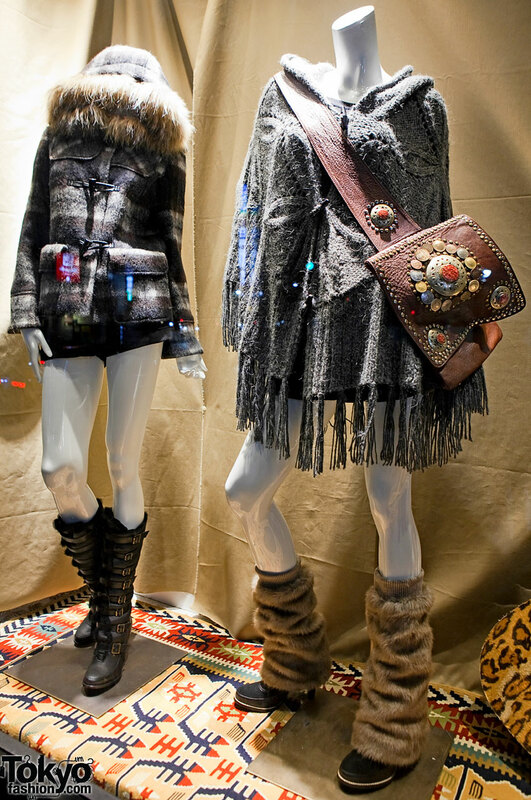 I don’t care about faux fur (I don’t like it) but fur is just terrible..
well…the girl with the white boots and the white fur vest…when i first saw that pic, i thought she looked like Jersey Shore Snooki. sorry. 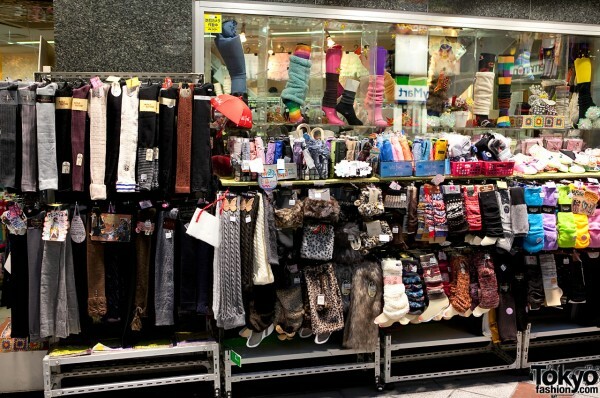 is there anywhere were we can get these fur leg covers/leg warmers in the US??? 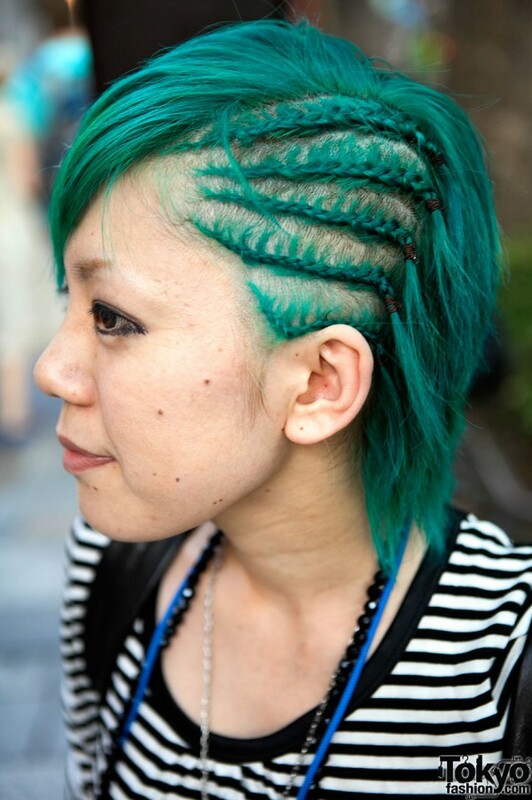 i really love this trend!! omg!! 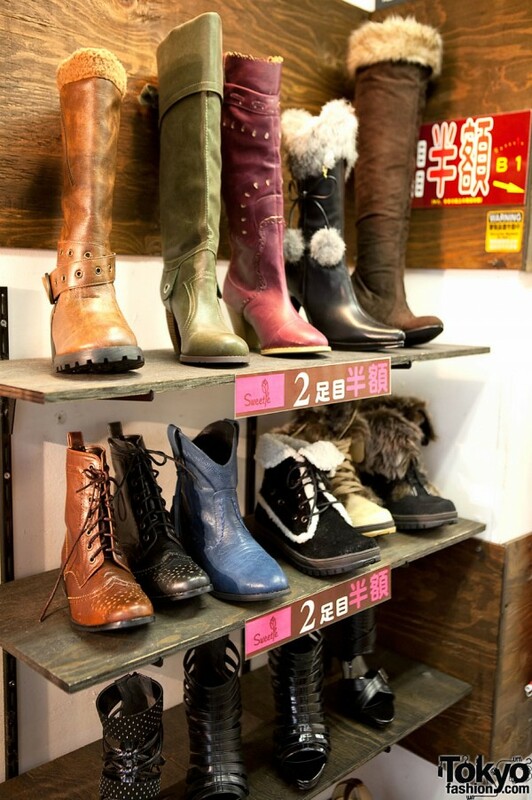 just found the boots ive been looking for in one of the above pics !! the boots that neela wears in tokyo drift wear can i get these from??? 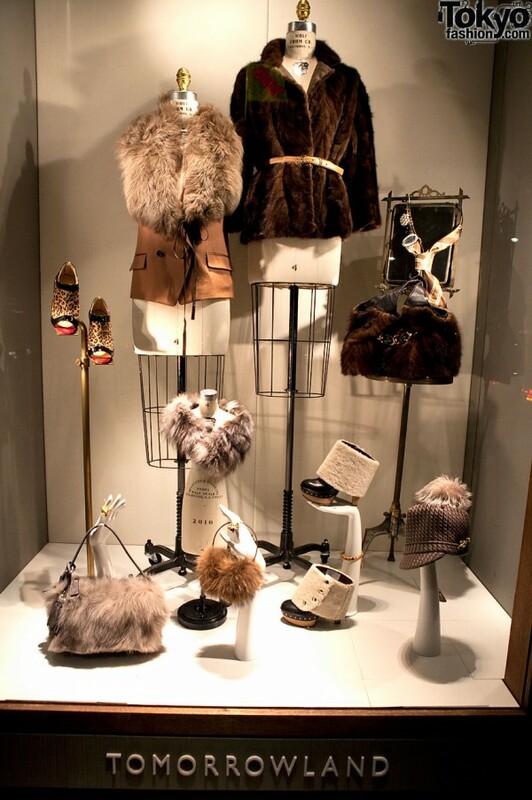 I’m sorry,but i’m against fur,even the fake ones.This is just too much. Just love that you post so many (high res) photos! Thanks so much! did u find where to get the boots Neela wears!?!?? I went out and bought faux fur boots because of this. ooh so nice, but some are a little over the top. i prefer the fur boots/leg warmers with the pom pom or the string tied around to add some interesting detail. 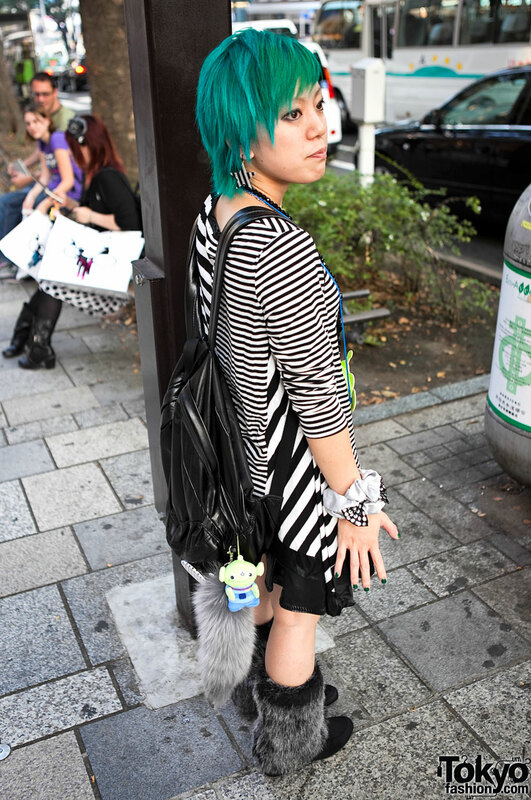 also love the fox tails so kawaii! dont forget fur hats! 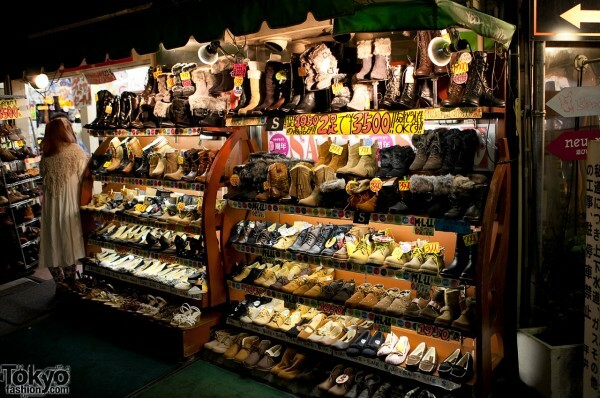 they are really nice…my boyfriend bought me one from OIOI…! 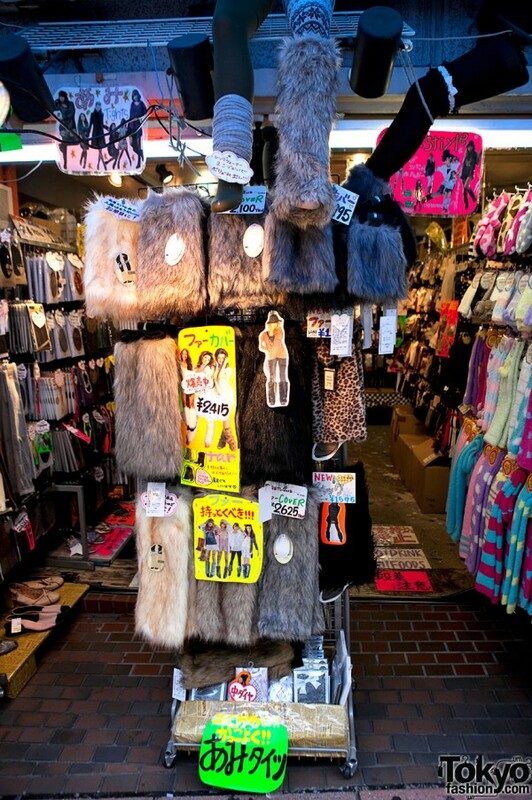 dont get me wrong, usually I am against wearing real fur…but this trend is huge…I dont want to look like a total ignorant gaijin while Im on the streets of Tokyo! plus most of it is fake fur…so I dont feel too bad. OMG!! 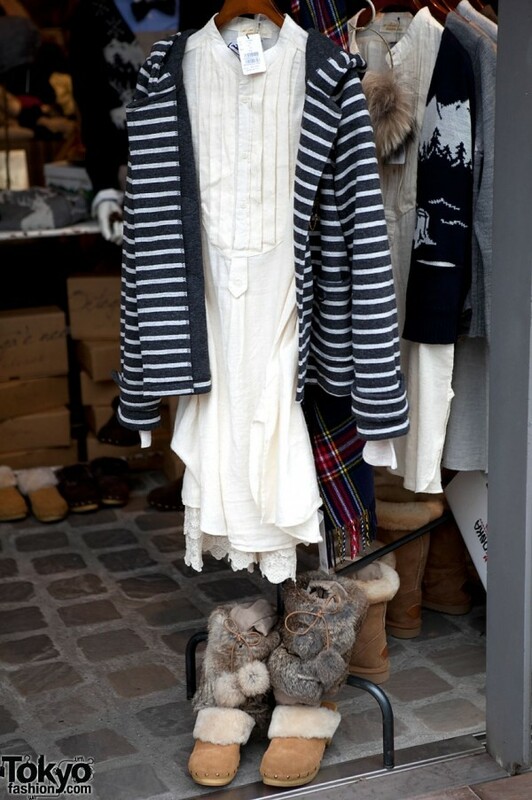 How/Where can I get this fur boots? 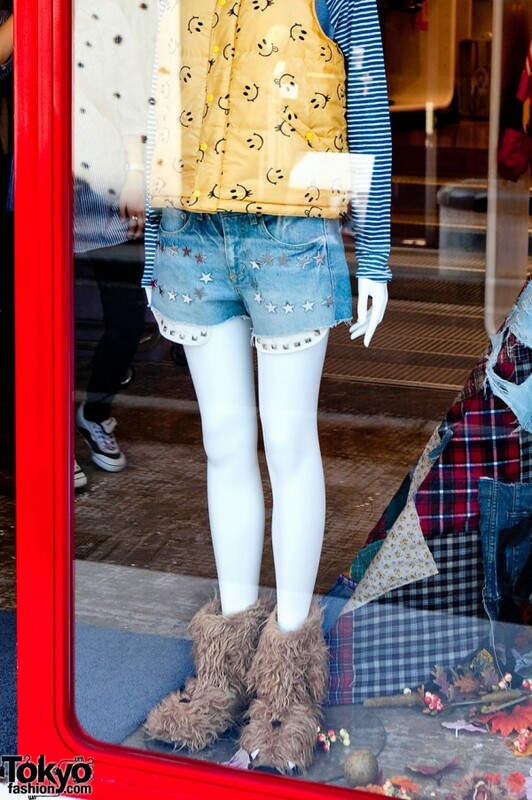 They are so stylish / hot..
i love it i love it amazing Tokyo i misssss……….